Liquid diet is ideal for those who want to lose weight quickly. If you are trying to lose weight to fit into a tight pair of jeans or your black little dress, then liquid diet might be your magic solution. 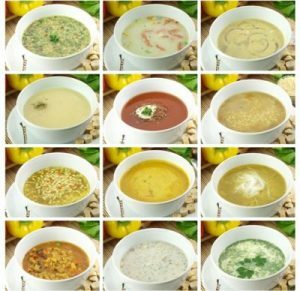 You can drop up to 6 lb in one week if you follow a diet that is composed of juices, soup, shakes and vitamins with a maximum of 1100 calories per day. Yet, a liquid diet is not a long term solution. Even though juices and soups made out of fresh fruit and vegetables and healthy shakes are filled with nutrients, it is not advisable to go on a liquid diet for longer than 5 days. Actually the continuation of the diet for a long time can provide a counter effect. With time, the brain will trigger a slowdown in metabolism and the system will go into starvation mode. That will cause the body to store fat instead of burning it. Liquid diet is meant to give you a kick start in your weight loss journey and should be followed by a more balanced diet and exercise regime. Doctors may recommend a liquid diet for people who will have a medical procedure or going through some health issues with their digestive system, such as diarrhea, throwing-up, etc. The person is supposed to get between 1300-1400 calories daily and 45 grams of protein. If the patient goes on such a diet for longer than 1 week, supplement should be taken regularly per doctor recommendations.